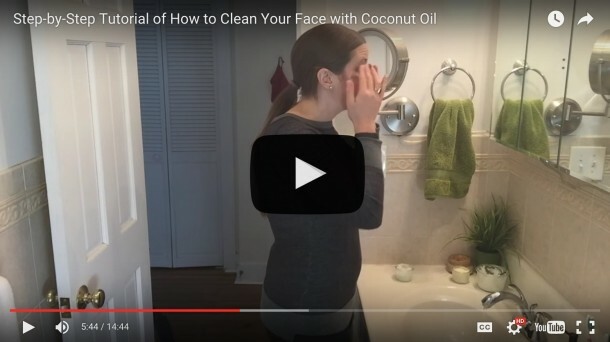 While I love using natural oils to clean my face and moisturize my skin, there are some things coconut oil can’t do—like be mascara. Up until I had my daughter, my makeup bag (which really is more like a massive makeup case) was packed full of conventional foundations, lip colors, shadows, and mascaras. Even though I knew I was slathering parabens and phythalates on my skin—both which interfere with hormone function and have been linked to reproductive abnormalities—I couldn’t bring myself to really invest in finding all new stuff. The safer options I had tried didn’t work great, and I always found myself going back to what I knew. Then, I saw this report, which showed the level of parabens and phthalates in the body skyrocketed after just three days of using conventional beauty products. After doing my own research, I found that only 11 chemicals have ever been regulated by the FDA for use in cosmetics. And no safety tests are required before beauty products hit store shelves. Being pregnant at the time—this hit me like a ton of bricks. 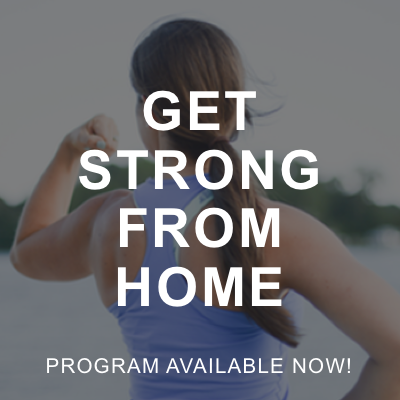 I knew how important it was to eat nutrient-dense food, move regularly, and reduce overall exposure to synthetic chemicals. In fact, I make my own laundry detergent and toothpaste for that very reason. But, with the stuff that I put on my skin every single day, and wear all day, I hadn’t made the switch. So, after much research and experimentation, I finally swapped out all of my conventional cosmetic products for safer options that are comparable to luxurious brands. All of the products come from the same company, Beautycounter, which has incredibly strict standards for what they put in their products. I absolutely love the company and what they stand for—but even better, I (thus far) have loved everything I’ve tried. Now that most of my day is spent carrying around an infant that typically has her face, hands, or mouth smashed against mine, I am thrilled I made the switch when I did. To share with you what I’ve tested and tried personally, here are the six cosmetic product swaps I made. 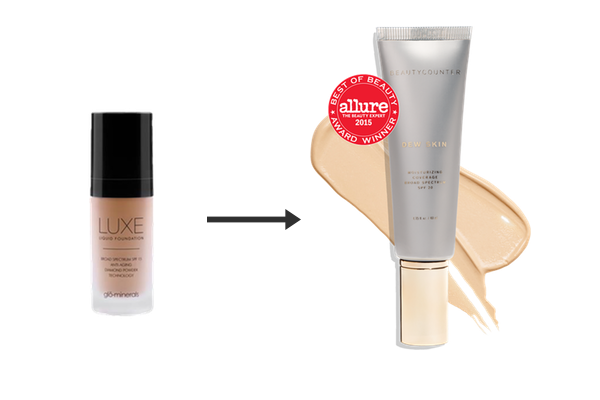 These 6 swaps are listed in order of how they’re applied, and they’re perfect if you’re looking for a makeup routine that can be applied in 5 minutes or less. I’m typically not a fan of foundation because it leaves my skin feeling heavy and looking oily. This Dew Skin Tinted Moisturizer feels light and smooth on the skin, and fills the roll of a foundation and moisturizer. It’s got black currant seed oil and vitamin C to help brighten skin, and I love the luminous glow it gives my face (which, let’s be honest, I could use a lot more of during these sleep-deprived days). And bonus! It’s got SPF coverage. It’s like photoshop for your face–without all the fancy photo editing skills! This Mattifying “finishing” Powder gives your face a smooth appearance by minimizing shine, and reducing the appearance of pores and fine lines. I’m all about having a more light and natural feel, and this powder does exactly that. I also find that it helps makeup last a bit longer. I apply this just after putting on foundation, and just before applying blush. Blush has become a staple for me as I’ve–ahem–advanced in age. 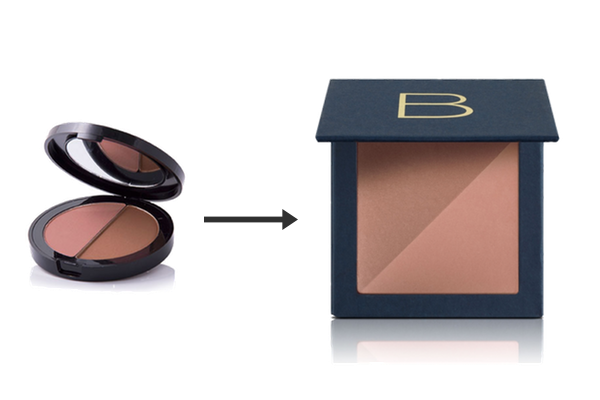 This Powder Blush Duo adds the perfect amount of color, and blends seamlessly. Sometimes, I use a blend of both colors, and others I just use either the lighter or darker shade. Just a couple quick strokes of the brush is all you need. I personally use the Tawny/Whisper color, as the darker shade can also act as a bronzer. When using the darker shade as a bronzer, I just brush it lightly on the middle of my forehead, on the top of my nose, and just around the temple area. If you didn’t know—#browsonfleek is sort of the it thing. While I’ve known this for awhile, I am now just starting to pay more attention to mine. Getting your brows to appear thick, groomed, and slightly smokey starts with a solid Brow Pencil. This silky smooth pencil helps to fill in gaps, even out color, and the built-in brush wand blends it all together. 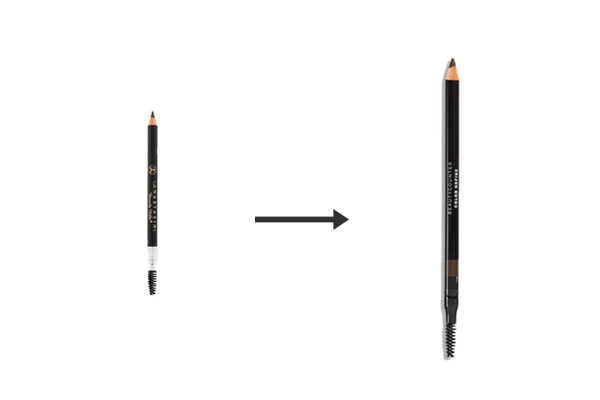 You can also use this pencil as eyeliner to add a bit of color around the eyes. I have had my fair share of issues with mascara over the years. Too clumpy, not enough volume, needing 18 coats, and I’ve even developed an itchy redness around my eyes after using a popular “organic” brand. 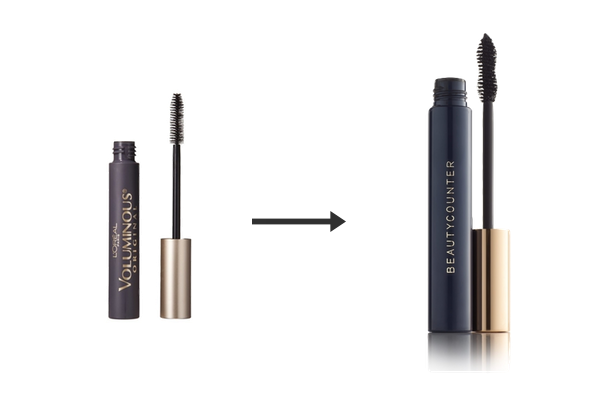 So, when I tried this Volumizing Mascara, I almost cried (but didn’t, because I had mascara on). It adds volume, doesn’t smudge or get flaky, and lasts all day. I use an eyelash curler just before application to get my lashes full and open. 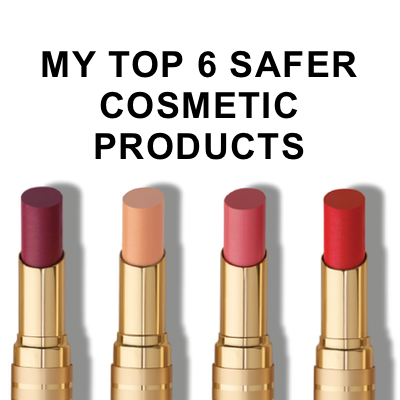 Safer lipstick is a no-brainer. What you put on your lips will inevitably end up on food or in your mouth. And eating a whole bunch of parabens and phthalates is no fun. 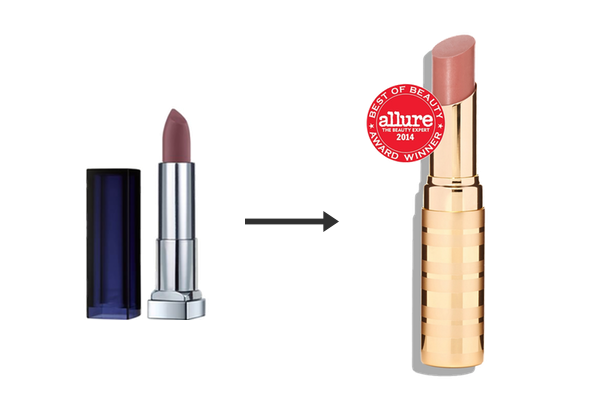 This Sheer Lipstick is not only made with safer ingredients, it also looks AMAZING on. It’s lightweight (again, a big thing for me), and gives the perfect amount of color. I personally use Twig, which is a great neutral lip color. Here are a few other of my favorite face-related products that I use on the reg. I am a lip balm queen. I have them stored all throughout the house so that when the need strikes, one is not far away. 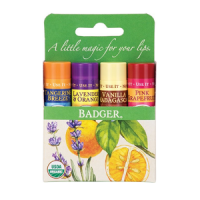 Of all of the lip balms I’ve tried, Badger Lip Balm is my absolute favorite. It goes on smooth and is super moisturizing. The scents are great, and the ingredients are nothing but natural oils, beeswax, and essential oils. These washcloths have literally changed my life. While that may seem a little cray—when I began cleaning my face with coconut oil, Norwex washcloths were the only washcloths that worked. They are microfiber, antimicrobial, and wipe oil and dirt away with ease. 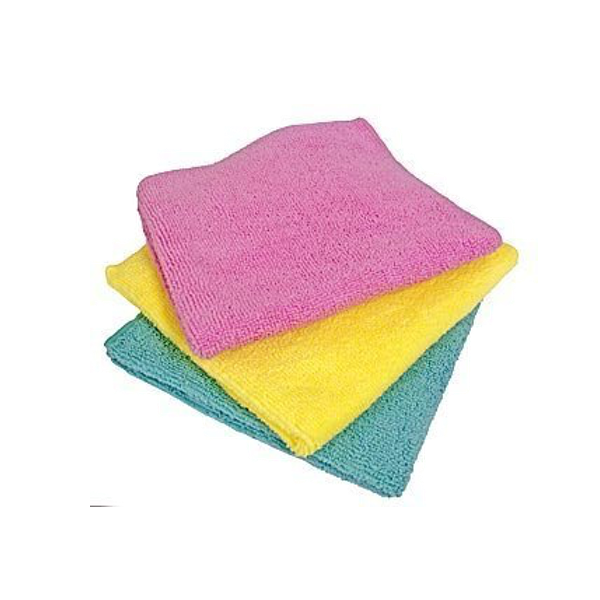 If my face doesn’t need a deep clean at night, I simply rinse a Norwex washcloth in water and wipe my face clean. I then follow up with my DIY Apple Cider Vinegar Facial Toner. Yes, this Angel Baby Bottom Balm may be for a baby’s bottom. But, it’s also the perfect healing salve for a plethora of skin issues. If I have a rash, burn, bug bite, cut, or itchy spot, this balm brings soothing relief and heals my skin overnight. It’s a beautiful blend of oils, butters, and antibacterial and antifungal organic herbs. Oh… and yes, it’s also an amazing balm for baby’s bottom. Got any questions about safer cosmetic products? Ask below and I’ll be able to help! Will these products work for the more mature skin. I am 78, and have fairly good skin. I’ve used powder (Bare Minerals) even though I know it isn’t healthy partially due to cost and also due to not wanting to use a liquid foundation. Have you used powders previously and how does this compare given it is liquid? 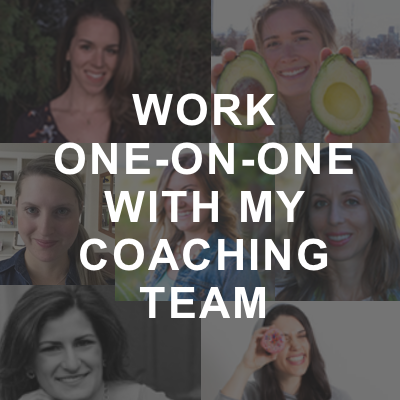 Do you have a way that I can get in contact with you to ask additional questions? Hi Lindsey! Sure! 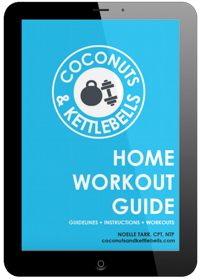 Join my Beautycounter list here: https://coconutsandkettlebells.com/beauty and you can reply back to that initial email. Yay!!! Thanks for including us! Any recommendations as to a good brand available in the UK? Not yet! So sorry. We are hoping BC comes to the UK soon! How do you wash your Norwex cloths?? In the washer with hot water. 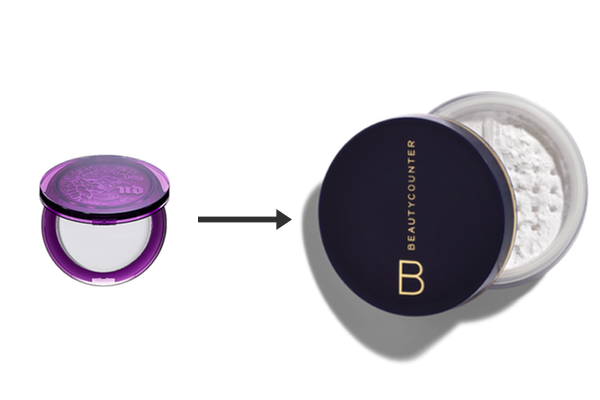 Do you use the Beauty Counter shampoo and conditioner? I’m currently dealing with hair that breaks super easy. While I know my use of supplements will take time to show in my hair, I’m looking for a natural hair line that actually works. I sell doTERRA products and tried their shampoo and styling products and it made my hair look WORSE! I had to go back to my normal stuff that’s probably laden with chemicals. Any thoughts? Hi Elaina! I personally use the hair care products—but not the shampoo. I purchased the stuff I use now in bulk. I’ll likely try it once I’ve gone through my stock. 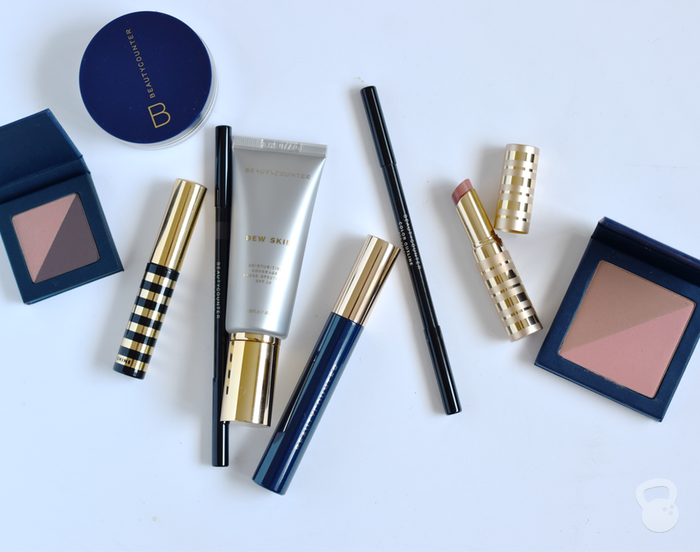 Highly recommend trying the Beautycounter stuff. If you don’t like it their return policy is amazing! Hi there, I’ve been searching for a craziness-free makeup for a while. I currently use jane iredale with mostly love. In BeautyCounter products, I’ve noticed a pretty long ingredient list – alcohol included. Are they really friendly to sensitive, acne-prone skin? I’ve only recently found your site but it’s great! Full of helpfully advice and tips and just what I’m looking for. Only downside is that I’m in the UK so it’s tricky for me to get some of the products you’ve recommended. Do you know of any good sites similar to beauty counter which are based in the UK that you can recommend? Thanks! Hi Jilly! I don’t have any recommendations currently as it’s hard for me to evaluate/test brands and products available in the UK. So sorry! It’s something I hope to work on in the future! I’ll be publishing a post next week about the top 10 ingredients to avoid which should supply some information about what to look for and how to choose personal care products that are safe.